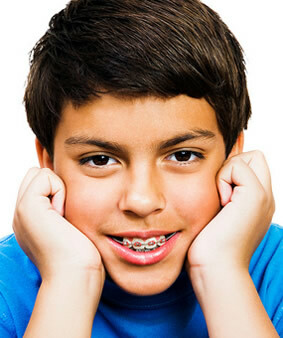 During various phases of treatment, patients are asked to wear elastics (rubber bands) to help aid in tooth movement. These small elastics help slide teeth along the arch wire and improves the fit of your upper and lower teeth. The elastics loop over small hooks which are already part of the braces and bands. It is very easy to place and remove elastics with your fingers, however, we will give you small plastic hooks which can help if needed. In a very short time, you will be able to place the elastics on your teeth without even looking in the mirror! Thorough placement and wear instructions are always provided by Dr. Steiman’s staff. In the beginning, your teeth may be a little sore from elastic wear, but that will end quickly as the elastics are worn consistently. Soft foods and pain relievers, such as Advil and Tylenol, are the best way to deal with any teeth discomfort. Elastics are generally worn day and night except for eating, sports, and cleaning. It is critical that you wear your elastics as instructed in order to achieve the proper tooth movement in the shortest possible time. You will be amazed at how fast your teeth move and how quickly your treatment will progress if the elastics are worn properly! Old elastics are replaced every day regardless of whether one breaks beforehand. Our office will give you enough elastics to last until your next adjustment appointment. If you are running low, please stop by our office any time to pick up another bag. We will be happy to mail you a bag if desired.